Installation by the best: Flooring Express! When you have invested in new flooring for your home, it makes sense to have the installation done by professionals. 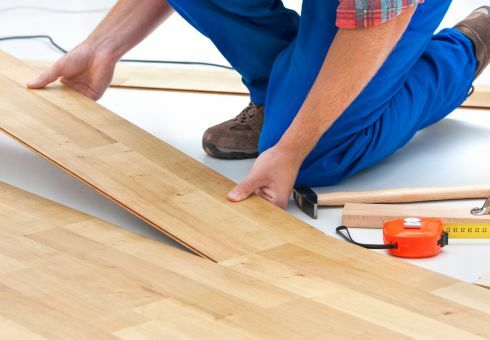 At Flooring Express, we have installers who are expert in all categories of flooring. If you need carpeting installed in a circular room, we have an expert for that; planning on a mosaic in your shower, we have an expert for that too! The depth of our installation team means we can put together a crew with the skills unique to your flooring. Every Flooring Express installation is covered by a warranty of satisfaction. Additionally, we perform all installations keeping to the manufacturers’ requirements so the important warranties and guarantees are valid. Keep children and pets away from the work site and work vehicles If you need assistance with any of these tasks, let us know so we can arrange for the work to be done. If the pre-installation work is finished, the decks should be clear to do the installation. Our crews are professional and focused on doing the best job efficiently. We realize that having a crew in your home disrupts family life. Flooring Express’ installation services are available to customers in Pembroke Pines, Dania Beach, Southwest Ranches, Plantation, Davie, Cooper City, and Fort Lauderdale. We not only offer the finest in flooring, but we also provide flawless flooring installations executed by professional installers.